Gettin' It Pegged…Loom Knitter's Clique | Whipping up love with pegs & string! 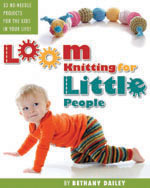 Have you had the chance to experience this fun Loom Knitting Book full of fresh inspiration and whimsy? Gettin’ It Pegged! Artfire Pattern Shop…find Signed Copies and specially priced Book Bundles here!